Nottinghamshire police could do more to protect ambulance crews in certain situations, a new report has claimed. 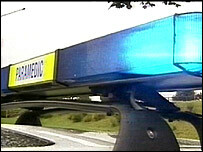 In one example crews were forced to break into a house to rescue an elderly woman when police were not present. County councillor Brian Wombwell said it was not an isolated incident and crews had expressed concerns to him on visits to ambulance stations. Nottinghamshire police said every call was assessed and it had a "good working relationship" with the service. Mr Wombwell said one crew found an elderly woman unconscious in her home. "They called the police to force an entry but no one turned up and they had to break in themselves, which is a situation they shouldn't be put in. He added: "This is not an isolated incident, I have heard this sort of thing from other teams. I want to make sure everyone is talking the same language." A police spokesman said: "The ambulance service are one of our most regular callers and every request for assistance is assessed and graded in accordance with our response policy. "We have jointly agreed protocols about when police officers will attend routine ambulance calls and we share intelligence about individuals known to be violent. "There is an open and ongoing dialogue between the two services that addresses any issues and concerns." A spokesman for East Midlands Ambulance Service said the police responded to "99%" of calls, adding that "both public bodies work hard to meet the needs of the public, very often in difficult and trying circumstances, and it is important to emphasise and understand this context".